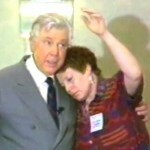 For any of you who are familiar with the “old masters” of hypnotherapy, Gil Boyne was the best of the best. I’ve dedicated the last few days to watching the master at work. He was a truly amazing hypnotist. His wording of suggestions was perfect, the delivery was spot-on, and his “Transforming Therapy” shows a depth of experience that is unrivaled. Gil was the instructor’s instructor, and many many hypnotists now benefit from his work without knowing where it came from. Now, what I didn’t know until fairly recently is that Gil Boyne’s work is available online. The Gil Boyne Online website was for a couple years set at a standard rate of $397 per year. And I know people who paid it, willingly and gratefully. But the price has now been changed, not on a “per year” basis, but as a one-time fee of $147. This is a pretty amazing bargain. Note: I have no idea how long this will last — blog posts last a long time, so please don’t come to me 6 months from now wondering why the price has increased — I have no control over it. Why learn online from Gil Boyne? Gil dedicated his life to the development of the profession and mentoring professional hypnotherapists, and his LIVE Master Class attracted people from around the world for more than 55 years. Gil Boyne Online is part of Gil’s legacy of valuable teaching material, and is a fantastic resource for hypnotherapists of all levels, but especially for those who missed the opportunity to see Gil at work while he was alive. As good as the videos are, to really understand Transforming Hypnotherapy, you need to get Gil Boyne’s book by that name. The videos provide a sense of pacing and how he used language. The book explains some of the rationale underlying his approach. Next post: Can Anyone Learn To Become A Hypnotist?